With springtime comes the opening of the Gilmore Car Museum, a great car museum located between Battle Creek and Kalamazoo, Michigan. The museum has a great collection of automobiles from virtually any time period. In addition to their regular displays, they also hold various car shows on their grounds. This shot was taken late last spring at the 2010 Classic Car Collectors of America (CCCA) show. 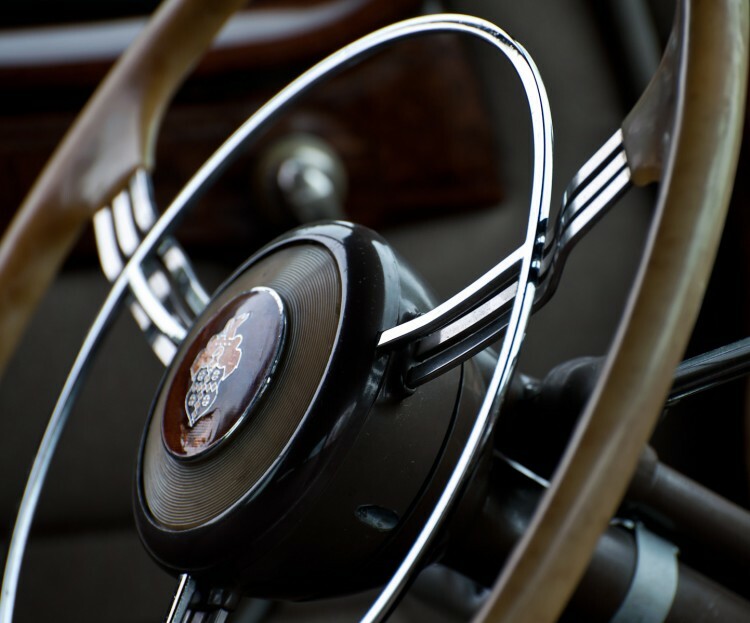 This show features a wonderful collection of wonderfully restored classic automobiles. This particular image shows the interior of a 1940 Packard Touring Sedan. In processing this shot I wanted to focus on the graphical elements and less on the specific details of the interior. 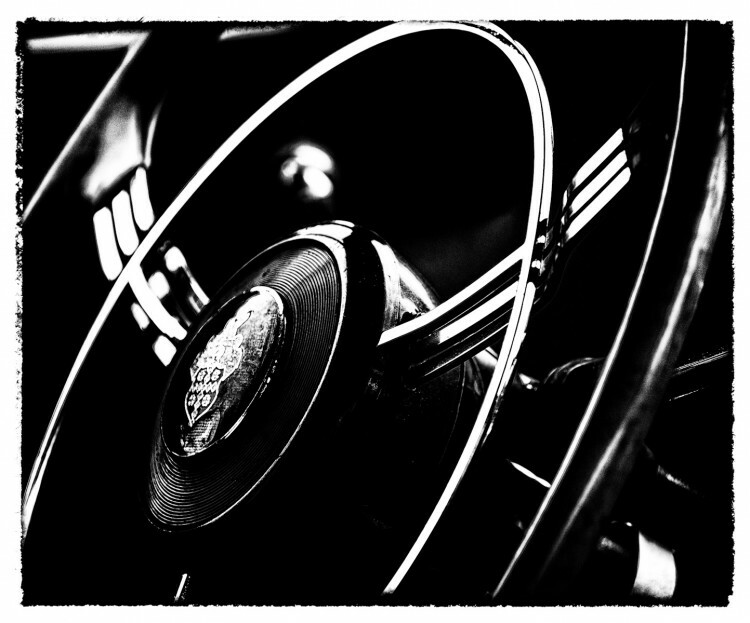 I liked the look of the circles created by the steering wheel, as well as the design of the spokes. After some minor corrections, I used Silver Efex Pro 2 to create a darker image which highlighted the graphical elements. I used one of the preset borders to give the image the finished edge. Let me know what you think. Feel free to leave comments or questions below. Love the dark processing as it really compliments the old steering wheel. I also like how the details in the center of the wheel stand out. Great work man! Like the interest that the processing generates. Cool shot! Nice conversion James – definitely think B&W was the right choice! Great job James. I love how the shapes in the image stand out more clearly in B&W. Nice treatment on this shot! A striking image James. Love it! Nice vintage feel, great job processing. Well done post processing. Great feel.